Mumbai-based Just Dial Ltd has filed its draft red herring prospectus (DRHP) with the market regulator SEBI for its maiden public offering, looking to raise Rs 360 crore. The initial public offering (IPO) will also offer the private equity investors an exit window from the firm, which runs an India-specific local business listings site. The issue involves a fresh issue of shares of up to Rs 360 crore and secondary offering of shares by a promoter group, led by VSS Mani, and investors including SAIF Partners, Tiger Global Management and Sequoia Capital India. While the promoter group currently holds 42.79 per cent stake in the firm, the rest is held by private equity firms and employees. Considering the share price of the pre-IPO placement in June, the secondary offering is expected to be at least as large as the fresh issue, taking the entire issue size to over Rs 700 crore. From the issue proceeds, Just Dial plans to spend as much as Rs 101.3 crore towards brand building through advertising campaigns and celebrity endorsements, among others. Also, around Rs 51 crore will be used to established new offices in Mumbai, Delhi, Bangalore, Chennai, Pune, Coimbatore, Jaipur and Chandigarh. Another Rs 100 crore will be used for upgrading existing hardware and procuring new hardware. With the total issue size over Rs 700 crore, Just Dial's IPO is likely to be the largest public offering by an Indian internet company. In 2010, online travel portal MakeMyTrip had listed on the NASDAQ, raising $70-$80 million (Rs 310 crore-Rs 360 crore) in its maiden public offering. Info Edge (India) Ltd, which owns websites like Naukri.com, raised Rs 174 crore through its IPO in 2006. Again, IntraSoft Technologies, which owns 123greetings.com, raised Rs 53.65 crore in its listing last year. Sequoia Capital Global Equities and SAP Ventures, who invested around Rs 45 crore in June this year, hold 1.01 per cent stake each. The pre-IPO round has valued the firm at Rs 2,200 crore based on Just Dial's pre-issue share capital, with the two investors subscribing shares at Rs 345 each. VCCircle had earlier reported that Just Dial could be looking at a valuation between Rs 3,000 and Rs 4,000 crore on its listing. SAIF Partners currently holds 21.58 per cent stake, Tiger Global owns 21.79 per cent while Sequoia Capital India holds another 10.35 per cent stake in the company. At the pre-IPO valuation, shares held by both Tiger Global and SAIF Partners are worth around Rs 450 crore each. Sequoia's stake is also worth over Rs 220 crore. Incidentally, SAIF, Tiger Global and Sequoia are selling anywhere between 10 per cent and 30 per cent of their existing shareholding. Amitabh Bachchan, who is the brand ambassador for Just Dial, also holds a minor 0.10 per cent stake. The Bollywood veteran got the shares at face value. Founded by VSS Mani in 1994, Just Dial is a local search firm that provides both B2C and B2B listings of small and medium businesses across the country. And it provides services across multiple platforms, including the Internet, phone, wireless and print. Just Dial, with six million listings till June, 2011, follows a B2B model where local businesses pay for listings, to be featured among the company's search results (which it calls campaigns) on a priority basis. The number of campaigns had increased from an approximate 40,500 in March 31, 2009, to 120,200, till March 31, 2011. However, consumers/end-users do not have to pay to access these listings. Just Dial's consolidated total income increased from Rs 50.24 crore in FY07 to Rs 189.91 crore in FY11, representing a CAGR of 39.4 per cent. Its profits after tax increased from Rs 1.64 crore in FY07 to Rs 28.62 crore in FY11. 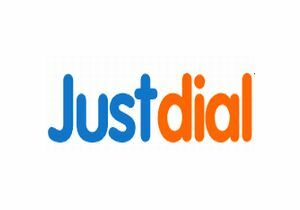 Just Dial, which also started operations in the USA and Canada, has demerged those operations, selling those to a promoter-controlled company. These operations were conducted through Just Dial Inc. and Just Dial Global Pvt Ltd.
Just Dial Inc. was also involved in providing infrastructure support services to the customers of Just Dial Global. It has sold stakes in both these companies, but will receive an annual licence fee equal to 1 per cent of Just Dial Inc.'s net revenues.